Title: What Does Daddy Do? About: Daisy goes to childcare during the week and has three best friends there: Dexter, Evie and Bob. One day they discuss what jobs their dads do. Dexter’s dad is a fireman, Evie’s dad is a doctor and Bob’s dad is a teacher. But Daisy’s dad? What does he do all day? Daisy has to work it out from the clues she has: they leave home at 8am, he picks her up at 5.25pm and he wears a suit and shiny shoes. In between she knows he braves a dragon boss, goes into a “bored” room and climbs mountains (that is, mountains of paperwork he has to get on top of). The three friends soon figure out what Daisy’s dad does – he’s an “ExplorerSuperKnight” – but, really, Daisy doesn’t care what he does all day. He’s her dad and that’s the most important thing. Boldy and brightly illustrated, this story quickly captures the imagination of children. The clever word plays show the ways in which kids can interpret terms that adults take for granted. Most of all, this is a book that hits on the most important message of all: it doesn’t matter what work a parent does, it’s their work as a parent that’s the most important of all. About: Vintage books are, of course, all the rage right now and many a children's book lover prides themselves on a collection that extends many years, if not decades. 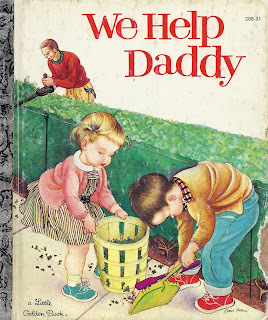 Mini Stein and Eloise Wilkin are a formidable team in this gorgeous vintage Golden Book in which two little 50s poppets help Daddy around the house. They hand him his hammer to fix the door. They tidy up the yard and water the flowers while Daddy trims the hedge. They help wash the dog and make a bird feeder for outside the window. They even chop wood and help him wash the car. A Daddy's work is never done - and what would he do without his two wonderful helpers? Gorgeous. And a timely reminder that modern kids could sorely do with learning a little household maintenance - not to mention that glorious feeling of a job well done - too. Interested in searching for rare Golden Books? Try second hand bookstores, eBay or AbeBooks. 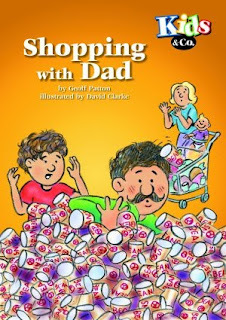 About: Dad's work never ends... today he also has to go shopping and he takes along his son for a shopping adventure he won't soon forget. 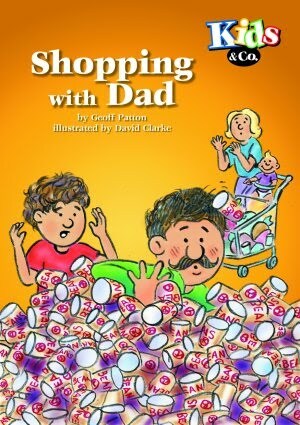 Poor old clumsy Dad is not the best shopper in the world. His run-ins with oranges and stacks of tin cans is a sight to behold - and who on earth could possibly manage to get caught in a sliding door? Good old Dad. This chapter reader effectively adds humour and a relatable storyline to make kids laugh while they're learning to read. 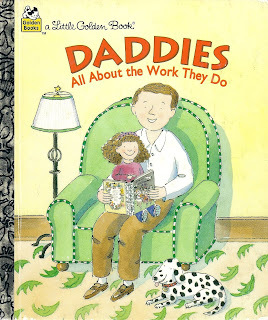 About: What do daddies do all day? Well, they go to work to earn their pay. And they do it in lots and lots of different ways. 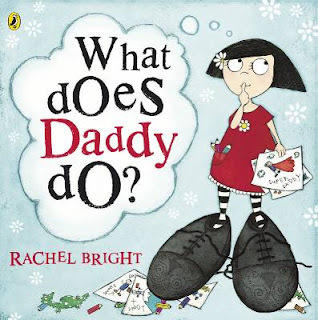 From building rockets to growing wheat, cutting hair and sailing the high seas, kids can learn about the many priceless roles dads undertake to keep our society running smoothy. They even read books to kids at night - one of the most important roles of all. I can also highly recommend "A Dad who measures up" by Davide Cali, published by Wilkins Farago, it shows blended families in a very positive light.